Beercott books is an independent publisher of craft and theatre related books. Based in Warwickshire, close to Leamington Spa and the Shakespeare town of Statford-upon-avon, our aim is to provide readers with quality books by passionate authors. 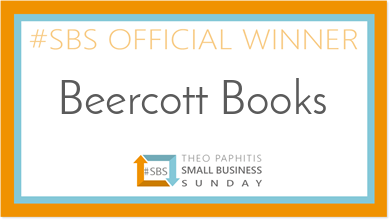 Beercott books was founded in 2017 by husband and wife team Kerry and Simon. The name is a combination of names from their ancestors – Beer and Medlicott, and the logo is a combination of animals from the corresponding coats of arms. Kerry has a passion for all things craft (but especially knitting), and Simon a passion for theatre.